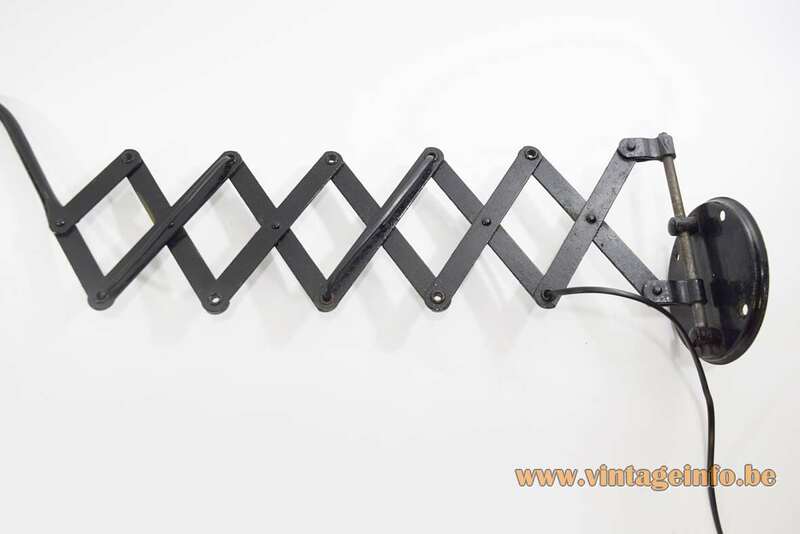 Materials: Black painted metal (iron) scissor and curved rod. Some brass parts. 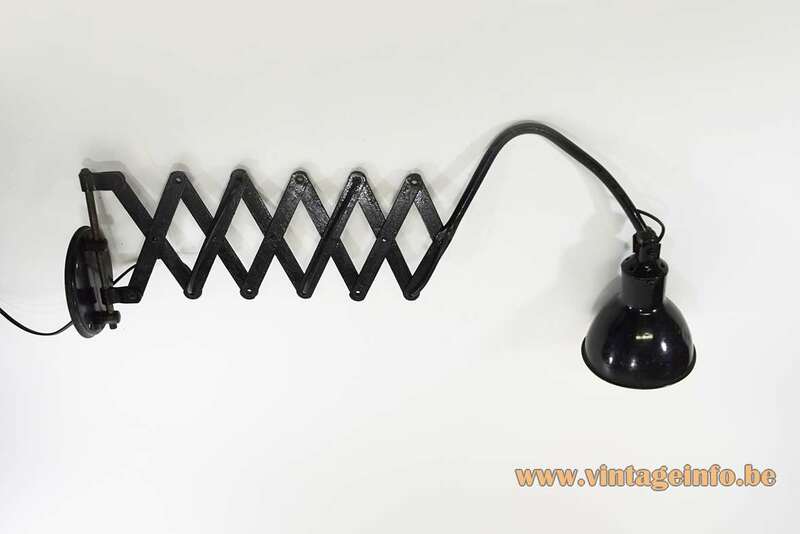 Round iron black painted wall mount. Black painted lampshade, white painted inside. Bakelite socket and switch. 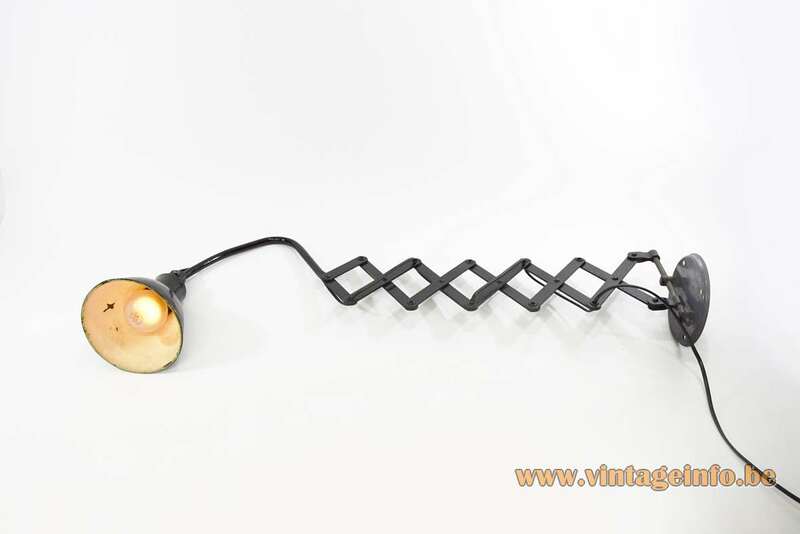 Period: 1920s, 1930s – Interwar period, Bauhaus, art deco. Other versions: Made in several sizes and forms. Also made in white, grey, orange-red and possibly some other colours. 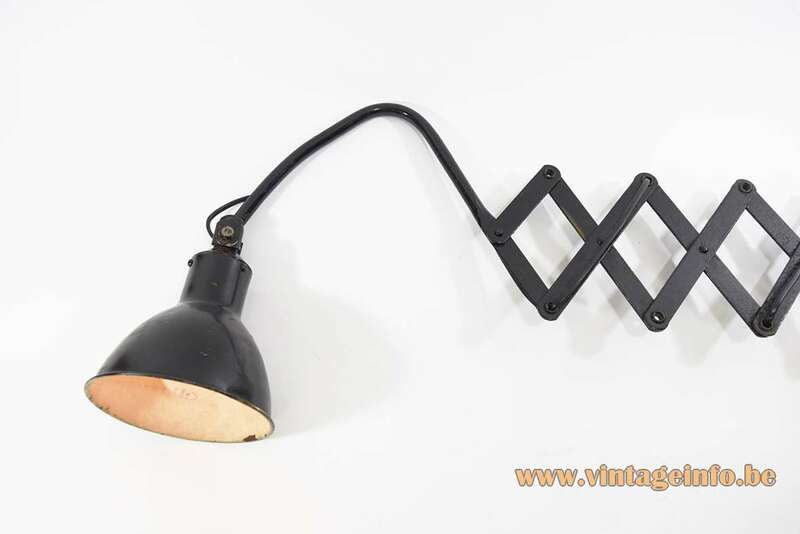 There is no trade mark on this industrial work lamp, but it got all the looks of a scissor wall lamp made by the Belgian company AGI; it has got the same lampshade and connections. Little is known about the Belgium company AGI. 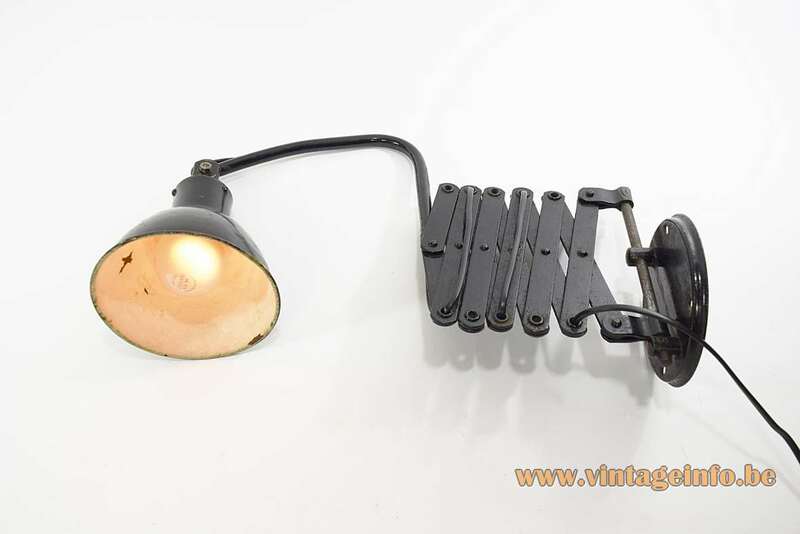 They only produced industrial work lamps in this style. Made in aluminium, brass or iron. 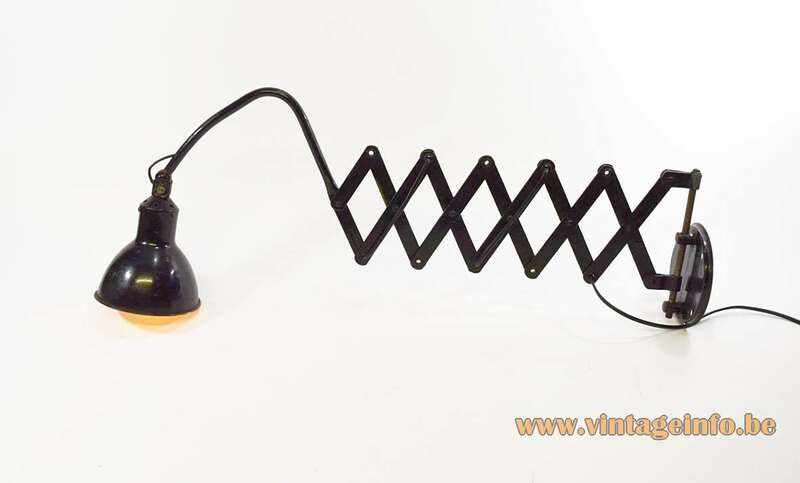 Occasionally a wall lamp appears with a fluorescence tube. There is nothing to be found in the Belgian Official Journal about the company/factory; it must be long gone. To be continued! 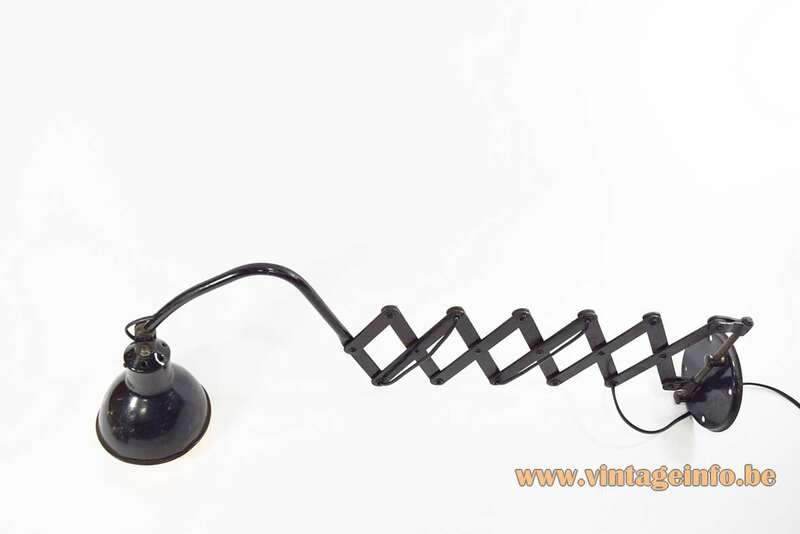 It is possible that these lamps were still in production in the 1950s, it’ts hard to tell. Most of them are rewired and the sockets and switches were made the same for many years.